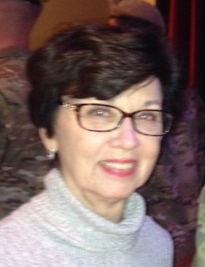 Guest Blogger, Edie Robbins, spent over 40 years in the healthcare management field. She holds both a bachelor and Master degrees and founded a family planning clinic in the mid-1970s in Big Rapids. It provided services for students at Ferris State University and other citizens of the Mecosta County area in need of low cost birth control services. Edie also worked for 15 years at the University of Michigan with 10 of those years as Administrative Manager of the General Clinical Research Center. Edie is now retired. In recent decades, university tuition has increased at a rate far outpacing wage growth and left an entire generation of graduates buried under student loan debt. According to the College Board, the average cost of tuition and fees for the 2017–2018 school year was $34,740 at private colleges, $9,970 for state residents at public colleges, and $25,620 for out-of-state residents attending public universities. If you look at the long-term trend, college tuition has been rising almost six percent above the rate of inflation. The only rate of spending that has risen comparable to higher education is the Medical Industry. From 1994 to 2015, total inflation averaged 2.3% during this entire period. Healthcare increased around 3.7% per year while education expenses rose 5.2 per year. If education inflation continues to average 5.2%, the cost of tuition and fees for a four-year public university in 10 years will be between $65,590 (in-state public) and $224,124 (private). While the cost of education continues to climb, having no education may be far worse in terms of lost wages. Less education would also hurt America’s ability to compete on the global stage. On the other hand, non-educational expenses have ballooned. What has largely remained flat or has declined have been salaries for teaching staff and funding for student services. https://www.cnbc.com/2015/06/16/why-college-costs-are-so-high-and-rising.htm As non-instructional costs have burgeoned, colleges and universities have decreased the number of tenure-track or tenured positions exploiting adjunct faculty and under compensating those who directly add to the educational environment. So while public funding has not even kept up with inflation and has actually been cut below the rate of inflation, spending on non-educational expenses continues to grow and student debt continues to rise at alarming rates. The consequence? Doors that were once open to students have been firmly closed affecting their future wage-earning potential, the careers they choose to pursue, and shortening the list of places they can raise their families. This system is severely restrictive and simply unsustainable. What can be done about this? 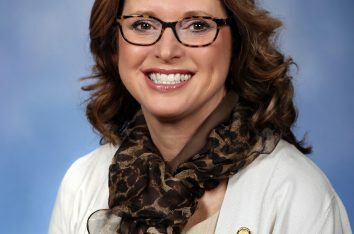 Michigan Democrats believe that higher education should be available for all as “it is vital to success in the 21st century economy.” “Democrats support proposals at the federal and state level to make public higher education tuition free for working and middle class families and debt free for all students.” https://michigandems.com/wp-content/uploads/2017/01/mdp-platform.pdf In 2017, State Democrats, while in the minority, were successful in advocating for expanding Michigan’s Promise Zones. Promise zones across the State of Michigan have been successful in combining public and private resources and tax increment financing to provide reduced or free tuition to those in some of our hardest hit communities. This is just the beginning. To expand the promise of higher education to those who would work hard to obtain it, we must increase higher education funding while fighting against bloat. Together we can make this happen.